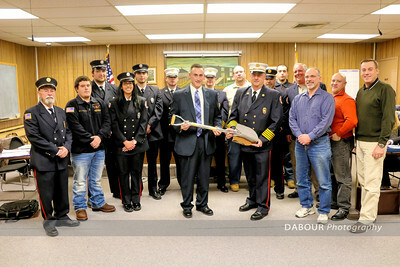 Members of Stewartsville Vol. 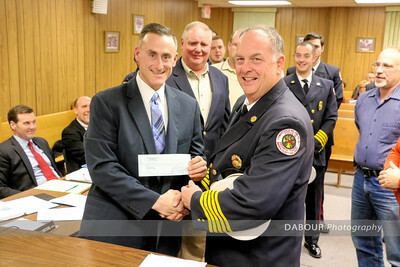 Fire Co. along with the Greenwich Twp. 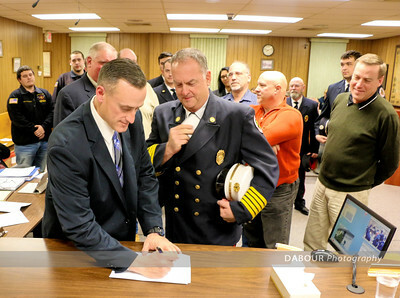 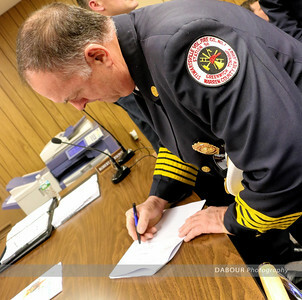 Committee sign a land deal for a new firehouse on Feb. 18, 2016. 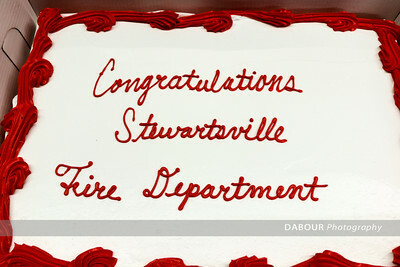 Stewartsville Vol. 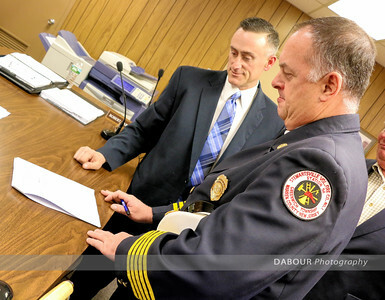 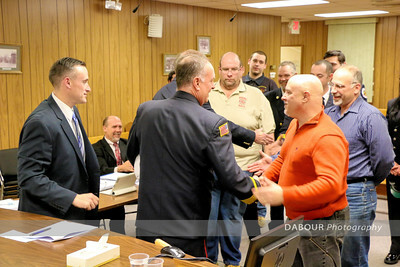 Fire chief Joe Mecsey and Greenwich Mayor Will Spencer show the check for $1 land deal for a new fire house with the Township Committee Thursday evening.